Wendy represents individuals and businesses in all facets of immigration matters, including I-9 related compliance issues and employment-based nonimmigrant and immigrant visas, particularly in the medical, pharmaceutical, IT and university communities. 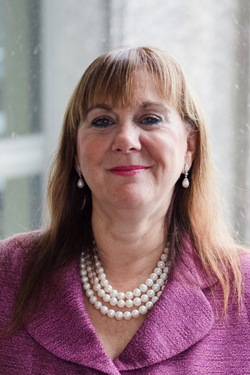 Wendy, who is fluent in Spanish, also represents individuals in family-based cases and serves as counsel to the Mexican Consulate in Philadelphia. She has been practicing Immigration & Nationality Law for over 35 years. Wendy currently serves as a member of the Board of Governors of the Philadelphia Bar Association, as Chair of the Philadelphia Bar Association’s Immigration Committee, as Co-Chair of the Pennsylvania Bar Association’s Immigration Committee and as a Board member of HIAS PA. She previously served as President of HIAS, as Chair of the Philadelphia Chapter of the American Immigration Lawyers Association (AILA) and as a member of AILA’s national U.S. Department of Labor Liaison and Vermont Service Center Liaison Committees. Wendy has continually been listed in Best (Immigration) Lawyers in America (2014 Best Lawyer of the Year, 2018 Immigration Lawyer of the Year for Philadelphia ), Super Lawyers (Pennsylvania) and in The International Who’s Who of Corporate (Immigration) Lawyers. 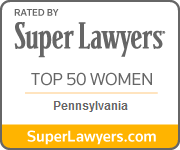 In 2015 and 2016 Super Lawyers recognized her as one of the top 50 women lawyers in Pennsylvania.